Whether you're throwing a fiesta and want an authentic dessert table, need to bring a unique sweet treat to a get-together, or just feel like making a delicious finale for a Mexican dinner, have we got the perfect desserts for you. Try a traditional or a creative recipe for a fun way to mix it up at the end of your meal. 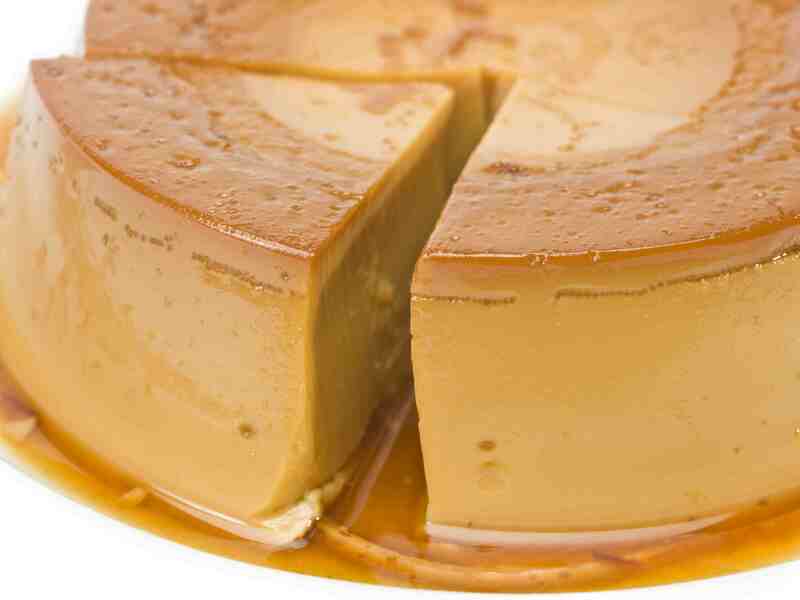 Creamy, caramel-topped flan dates all the way back to the Roman Empire. When Spain invaded Mexico in the 1500s, a lot of their cuisine made its way into the Mexican diet, including this now-classic dessert. Tres leches pastel gets its name from the three milks used in the recipe: evaporated milk, sweetened condensed milk, and heavy cream. The fluffy cake gets soaked in the creamy sauce, giving it a dense richness that's actually more like a custard than a traditional cake. Serve it with coffee for a lovely contrast. Churros are sometimes called Mexican doughnuts, since they're made using a very similar technique. Pipe these cinnamon sugar-coated sticks from a bag topped with a star tip, then fry them until golden and roll in cinnamon sugar for a sweet treat that's often served with dulce de leche or Mexican chocolate sauce for dipping. Enjoy them warm and just try not to go back for seconds! 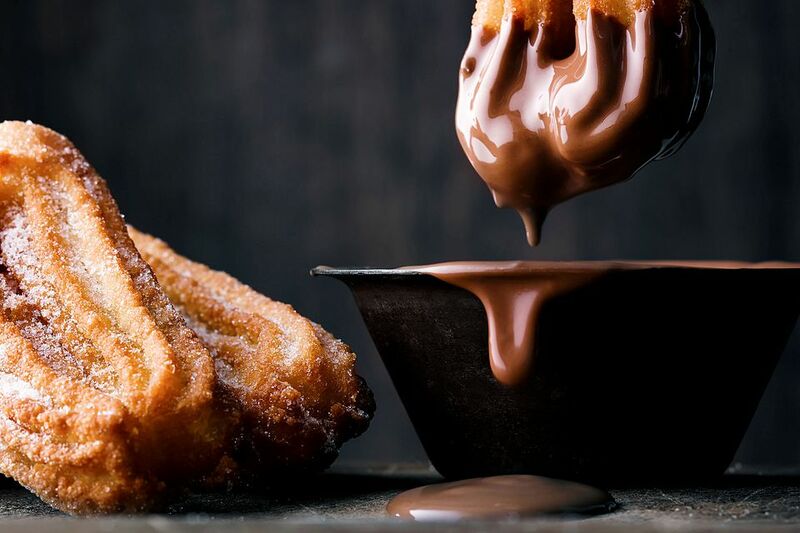 Try this rich and decadent chocolate sauce as a dip for churros, doughnuts, or as a topping for ice cream. It's also great with fresh fruit or, let's be honest, a spoon. A touch of cinnamon sets it apart from other chocolate sauces you may have tried, and you can also add a little chipotle or other chili powder to add spice. A slice of this Mexican chocolate cake fits is a wonderful vegan dessert. Cinnamon and cayenne pepper pull some Mexican flavors into this fluffy dessert, while the lack of dairy makes it low in cholesterol, too. Try it with some vegan ice cream on top for a real treat. Of all the Mexican desserts out there, these may be the most popular. Whether you know them as Mexican tea cakes, Mexican wedding cakes, snowdrops, or sand cookies, they're the perfect tea cookie. Coat them twice, since the first layer of powdered sugar melts to form a thin icing layer. Try forming them around chocolate kisses or maraschino cherries, for a sweet surprise. This rich and comforting capirotada, or Mexican bread pudding, may not look glamorous. But don't judge a dessert by its photo; this spiced pudding is chock full of apples, dried fruits, nuts, and tastes great with a scoop of ice cream or crema on top. Once you've mastered the recipe, feel free to substitute your favorite dried fruits for a nice twist. Give this rich, buttery sweet bread a try for Dia de los Muertos, or the Day of the Dead, or any time you need a light dessert or brunch treat. Many variations on the flavor and shape exist, but this is the classic presentation. Many people buy theirs from a bakery nowadays, but it's easy enough to make at home, too. This Mexican rice pudding tastes great on a cold day, or any time you need a lightly spiced, sweet dessert to round out your meal. Cinnamon gives it a nice flavor, but you can add other spices or raisins if you like. Soak them in water before using if you do, to give them a pleasing plumpness. You can find many versions of Buñuelos. The Mexican version are sweet, sometimes round and plump and other times flat, like an American elephant ear. They're often dusted in sugar or a piloncillo syrup, but you can also enjoy them plain. Try them as a sweet dessert or even a special breakfast. Chocolate bark now comes in as many varieties as you can imagine, so try this Mexican version for a fun and easy dessert. The kids can help break apart the Maria cookies and mix up the ingredients, and everyone will love the bright, crunchy, many-textured treat. It's a colorful option for children's parties or casual get-togethers, where your guests can help themselves to this unique and addictive candy. A frozen fruit pop really hits the spot on a hot day. These Mexican paletas made with fresh fruit like strawberries, watermelon, mango, or pineapple are sweet, light, and deliciously cooling ice pops. Every town seems to have a paleteria where locals can cool down for a sweet treat. If you've ever had a crispy, crunchy, sweet and cinnamon-y churro, you already know how amazing these churro waffles are going to be. And although they taste fancy, they're just as easy to make as basic waffles. Drizzle with melted chocolate fudge sauce, caramel sauce, or dust with powdered sugar. The only thing better than a decadent fudge brownie is a Mexican chocolate brownie. Spiced up with a hit of cinnamon and a little cayenne pepper, these bars make a warming and unique dessert. Don't feel bad if you're short on time. Just add the extra spices to a box, and you'll still have a unique treat to share. That's right, you can have nachos for dessert. Super-simple homemade cinnamon chips get topped with fresh fruit, a cream cheese icing, and luscious chocolate. Dollops of whipped cream just complete the package. The end result will make you lick your fingers and reach for more.